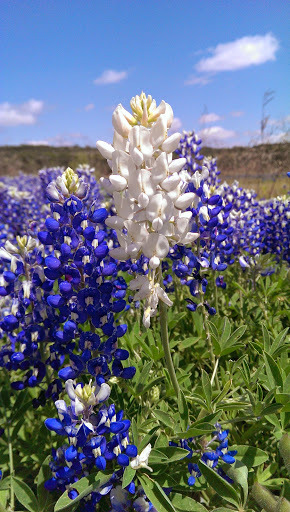 Juwster's World: Bluebonnet - Amazing! 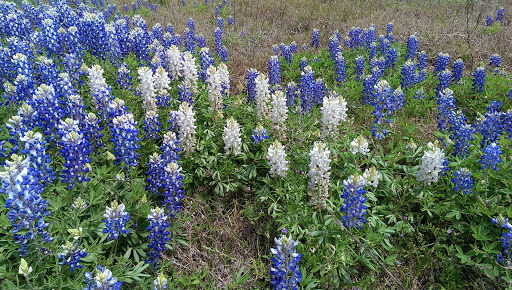 Today we set out to see the "Field Of Dreams" of bluebonnets. Find it we did. 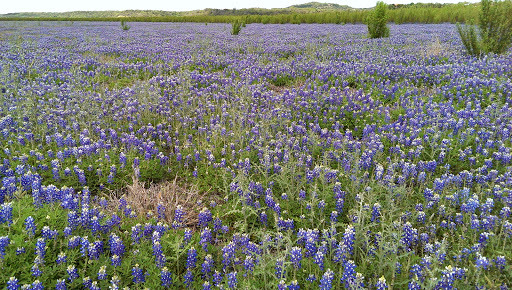 Located at Muleshoe Bend Recreational Area this was the largest field we have ever seen - and we are born Texans! This field looks like a sea of blue. When you look out over it, it just looks like a river or a lake. This used to be the river bed but it is now dry. You can walk or drive through the field. Just be careful not to trample all over them. Be careful of snakes and stickers. Just do yourself a favor and take the time to visit this field. It is a wonder. There is a special feeling connected with visiting the bluebonnets every year. Memories of days gone by and the people that have shared our lives. Jerry's mom loved to see the bonnets and looked forward to making the drive from her hill country home to Houston each year to see them. My dad saw to having bluebonnet seed planted on the Texas highways during his days at the Texas Highway Department. The state once thought it very important to keep our State flower plentiful. 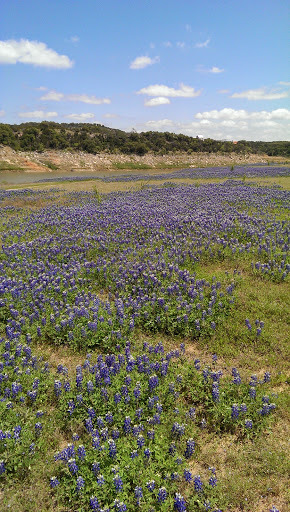 As kids we were told it was against the law to pick a bluebonnet if it was on a Texas highway. When our kids were small we would go out and visit the flowers. That tradition continues now with my grandchildren. Do people in other states trample out to fields of their state flowers and make fools of themselves as they gaze in awe at the beauty? I don't know. But I plan to keep doing so until my hair is as blue as the bonnets!